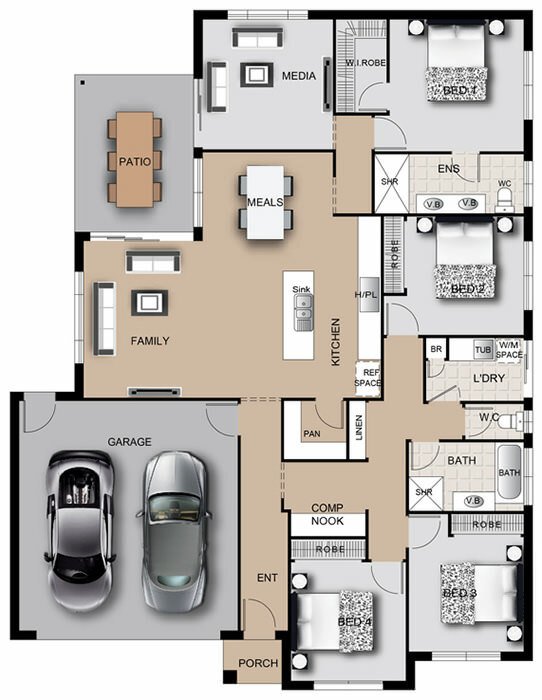 The Sheldon is a beautiful and sophisticated home for large or growing families. 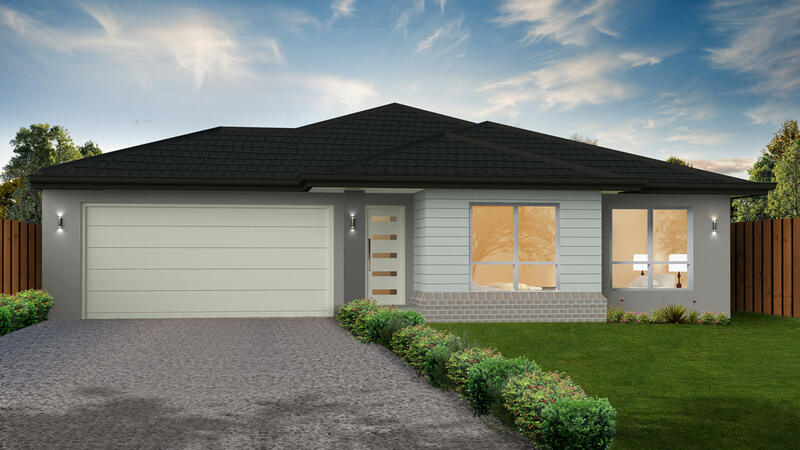 Featuring four bedrooms with the Master bedroom boasting a large walk-in-robe and double basin ensuite, this home design also includes a study nook for the kids to do their homework or parents to work from home. Built with entertaining in mind, the family, dining, media and patio are all located next to each other as the central entertaining hub. With an open plan kitchen, the Sheldon is a great choice for families.